People aren’t exposed to just one chemical at a time. Because many ingredients are used in many products, exposures for some chemicals are nearly constant. 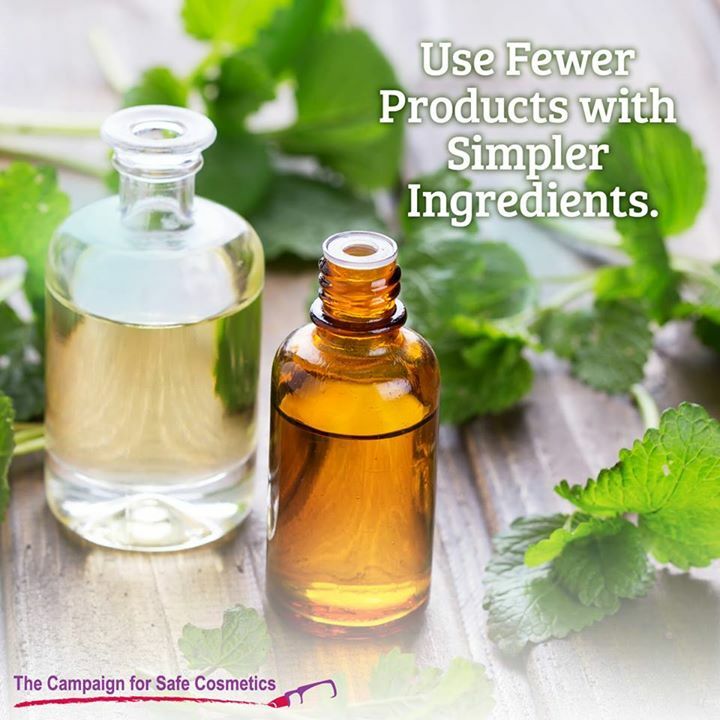 In addition, scientists rarely know the health effects of exposures to the kinds of chemical mixtures found in personal care products, other consumer products, and our home, work and outdoor environments. A 2008 report by the Environmental Working Group report found that women use 12 cosmetic products with 168 unique ingredients each day and men use 6 products with an average of 85 ingredients. These ingredients, in combination with exposures from other consumer products and pollutants in the air and water, add up to a phenomenal array of combined exposures, in effect adding up to hundreds of exposures every day. Many of the ingredients in personal care products are also found in cleaning products, housewares and even at work. These chemicals can end up in air, water or household dust. Most of these chemicals are in these products in relatively small amounts, but because they are so common, people are often exposed continuously throughout the day. For instance, people may be exposed to phthalates, which are found in both plastics and personal care products, during their morning shower from the shower curtain; when using shampoo, conditioner, lotions or soaps with fragrances; and from foods kept in phthalate-containing storage containers. These repeated, low-dose exposures occur from an array of chemicals every day. Only a small number of these real-life combinations and doses of chemicals have been tested. This is perhaps not surprising: One estimate predicts that it would require 166 million experiments to test all combinations of three involving the 1,000 most common synthetic chemicals currently in use. (Koppe, 2006). While only a few of those studies have actually been conducted, several of them indicate that mixtures of chemicals can behave additively (for example, 2 + 3 = 5) or synergistically (for example, 2 + 3 = 9). Measuring levels of chemicals in people’s bodies through biomonitoring is one approach to understanding actual exposures. This can capture an individual’s total body burden of a given chemical, regardless of the sources of the exposure, as well as exposures to mixtures, and even changes over time. In addition, software to model exposures and tools that allow for assessment of the “exposome” (exposures from all sources, including those without existing toxicological data) can help us further understand chemical exposures that are likely to co-occur. New tools are needed to help prioritize specific mixtures for study. Other tools can help prioritize which mixtures to examine, such as high-throughput screening methods, which can rapidly test a large number of chemicals for early indicators of concern. Koppe JG, Bartonova A, Bolte G, et al. (2006). Exposure to multiple environmental agents and their effect. Acta Paediat, 95 (Suppl 453):106-113. Kortenkamp A (2006). Breast cancer, oestrogens and environmental pollutants: a re-evaluation from a mixture perspective. Int J Androl, 29:193-198. Environmental Working Group (2004). Exposures Add Up – Survey Results. Available online http://www.cosmeticsdatabase.com/research/exposures/php. Accessed August 19, 2008. Centers for Disease Control and Prevention (CDC) (2014). Fourth National Report on Human Exposure to Environmental Chemicals, Updated Chemicals, August 2014. http://www.cdc.gov/exposurereport/pdf/fourthreport_updatedtables_aug2014.pdf. Carlin DJ, Rider CV, Woychik R, Birnbaum LS (2012). Unraveling the Health Effects of Environmental Mixtures: An NIEHS Priority. Environ Health Perspect 120:a6–a8 (2013).